The French Government has cancelled the People's Climate March in Paris on Sunday, amid ongoing security fears. The people of Paris may not be able to march for climate justice but we can. This movement is bigger than any one march, and we need everyone now more than ever. 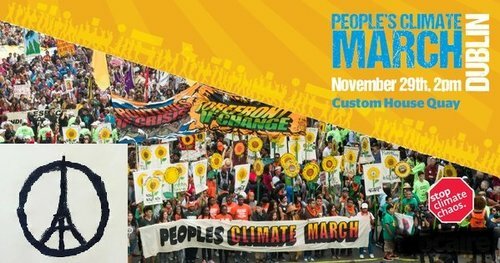 The Global Climate March -- which already consists of thousands of events, small and large, all around the world -- goes on. From London to Los Angeles, Quito to Quizon City, people are still taking to the streets. Join us in Dublin on Sunday at 2pm on Custom House Quay. There are also events in Belfast, Galway and Cork. We are hiring a new intern to support our Young Friends of the Earth Activists. Young FoE, a youth network within Friends of the Earth, was created in 2009 by and for young people wishing to campaign for environmental justice and sustainability in Ireland. We are looking for a dynamic coordinator to help us strengthen the network. On the 10th November 1995, Ken Saro Wiwa and 8 other Ogoni leaders were executed by the Nigerian military. They had been campaigning to remove Shell and other oil multinationals from Ogoni land in the Niger Delta, after decades of oil operations and countless spills and accidents. I'm speaking at a briefing on fracking in Leinster House on Thursday lunchtime. Can you do me a favour and email your local TDs asking them to attend ? It'll only take a minute and they are much more likely to come when one of their own constituents asks them. Thanks. The main speaker is a campaigner from Good Energies Alliance Ireland, based in Leitrim. They are very concerned at the increasing evidence that the EPA research on fracking is neither independent enough nor broad enough to be a legitimate basis for a Government decision for or against fracking. You can find out more here. 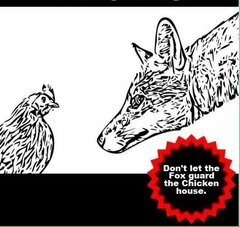 If you want to come to the briefing yourself, just email info@foe.ie and we'll organize entry to Leinster House for you. Yesterday I delieverd a paper to the MacGill Summer School on "Ireland's Energy Crisis: What's to be done?". You can hear my 15 minute speech by clicking below. You can read the text here. And you can read the Irish Times report here. Thanks to your campaigning the Government has agreed to make changes to the Climate Bill . But now time is running out to get the Bill through the Dáil before the summer break. Next week's Dáil agenda will be set on Thursday and there's a real risk the Climate Bill will be dropped. Please press for TDs to pass it before they go holidays: On Twitter . On Facebook . Click here to Like and Share this photo on Facebook NOW, please . It'll only take a minute and all the key decision makers are tagged in the photo of the fantastic Stop Climate Chaos photo stunt on Sandymount Strand last Saturday. Will you join us on the beach tomorrow to bury your Head in the Sand, just like our government are doing when it comes to climate change? Some of the iconic images of Irish climate activism have been created in fun, family-friendly, photo stunts on Sandymount Strand with our allies in Stop Climate Chaos. Tomorrow we gather there once more: to collectively stick our heads in the sand to send the message loud and clear that the government's inaction on climate change is not in our name. Will you put your heads in the sand with us? We would love you to join us for a "Heads in the Sand" photo stunt on Sandymount Strand this Saturday 4th July at 11am. Our government just isn't taking climate change seriously. We’re only 5 months away from major climate talks that will decide the future of global climate action. Yet the government is about to finalize a Climate law that doesn’t even set a target for emission reductions by 2050. They have no Action Plan on how to cut our climate pollution to 2020 (the last plan finished in 2012) and they have made no financial pledge to help support communities worst affected by climate change impacts. One of the most eye-catching names on Minister Alan Kelly's list of members on the Climate Change Advisory Council yesterday was that of Prof Ottmar Edenhoffer. He's the Chief Economist at the Potsdam Institute for Climate Impact Research , and was co-chair of the IPCC's Working Group III on Mitigation for their recently completed Fifth Assessment Report. He gave an EPA lecture in Dublin last October which I was at, which was very impressive. Particularly that his favourite slide was the one showing how much fossil fuels we had to leave under the ground. Click here to start the You Tube video at that bit of his talk .